Sure, everyone wants a bigger a kitchen, but sometimes that’s just not possible. Whether it has to do with the space available to you in an open-concept home, or you’re simply limited by things like plumbing and electric, a kitchen might have to be small. However, a small kitchen isn’t a bad kitchen; far from it! 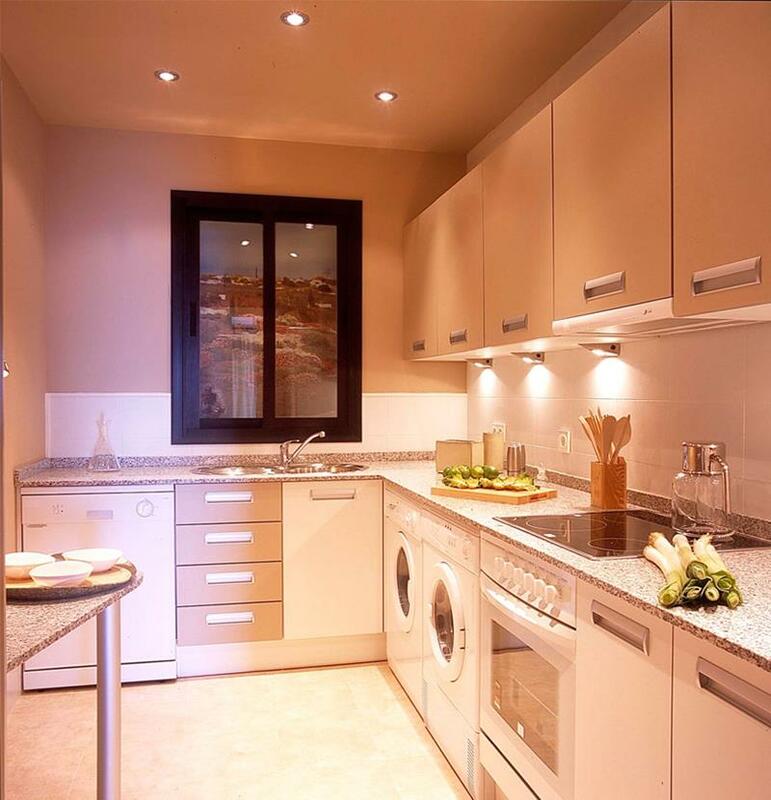 In fact, a small kitchen can be every bit as luxurious and beautiful as the grandest, most enormous kitchens out there. 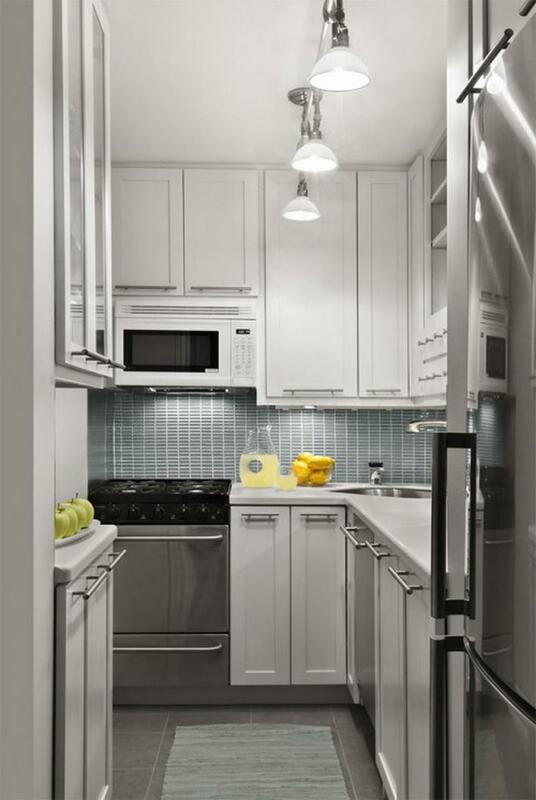 In order for this to be the case, though, a small kitchen has to be smartly and elegantly designed. 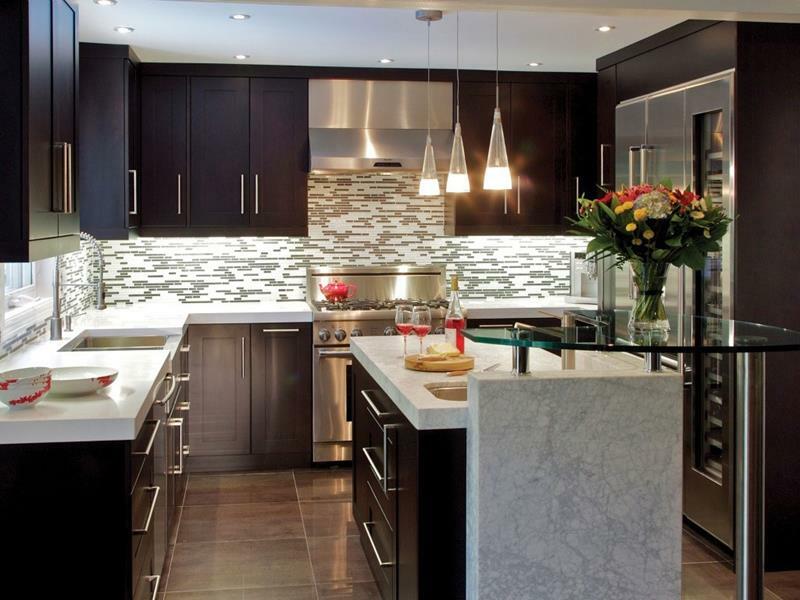 In this post, we’re going to share 22 jaw-dropping small kitchen designs with you. Each one, in its own way, does something that’s truly exceptional – something that elevates the small kitchen into something much grander. It’s our hope that by checking out these examples, you’ll be able to find plenty of inspiration for the design of your small kitchen. So, come check out these amazingly designed small kitchens that we’ve collected, and figure out which ones appeal most to your sensibilities. We promise that it will be a rewarding and enlightening experience. This wonderful small kitchen uses inventive lighting to achieve its visual appeal. Also, check out that washer and dryer! Anything is possible. A number of different materials come together in the design of this small kitchen to give the space a visual vibrancy that’s hard to ignore. 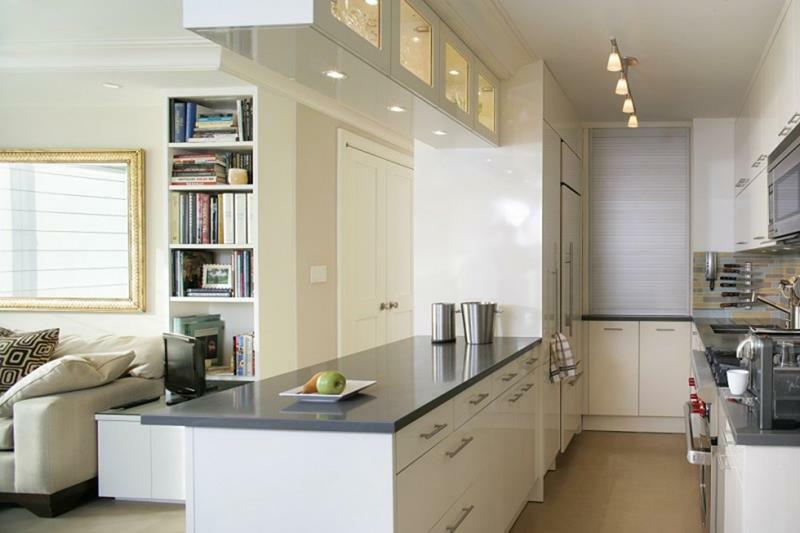 To maximize the space available in this open-concept living space, this kitchen has been designed in a line, with one countertop functioning as a divider.